Stem cell therapeutics provider Parcell Laboratories announced today that the U.S. Patent and Trademark Office (PTO) has issued their company the Patent No. 8,574,567 entitled "Multipotent Stem Cells and Uses There of" on November 5. The newly issued patent concerns the Early Lineage Adult (ELA®) stem cell, and relates to providing an isolated population of stem cells that exist in the synovial fluid, blood, and other tissues in the body, and related therapeutic methods. Parcell Laboratories holds the exclusive worldwide license to the ELA stem cell platform technology, which was originally discovered by scientists affiliated with the Brigham and Women's Hospital and Harvard Medical School. This multipotent stem cell patent has a term extending through 2028. ELA cells represent the industry's newest stem cell platform technology, offering potential uses in a number of different therapeutic applications. 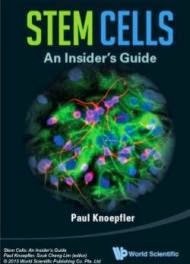 The cells may be distinguished from other adult stem cells in several ways. First, ELA cells appear to harbor the flexibility one would normally associate with only embryonic stem cells (ESCs), offering greater potential to differentiate into a wider array of more developed cell types. In contrast to ESCs, ELA cells are not associated with higher tumor-generating potential and come without the ethical controversies attached to embryonic cells. Furthermore, ELA cells do not express the surface markers generally associated with other adult stem cells, thereby reaffirming the ELA cell population as unique. ELA cells are easily harvested from the synovial fluid of patients with osteoarthritis of the knee, but evidence suggests that they can be found throughout the body, an avenue of investigation that Parcell Laboratories is actively pursuing. Importantly, the patent allows for the culture expansion of the ELA cell into large master cell banks, which enables the company to grow the cells in tissue culture for therapeutic use, allowing for a non-controversial and scalable supply of easily attainable, highly-plastic stem cells. "This is an exciting, transformative time for regenerative medicine. Parcell's patented platform technology lets us offer a diverse portfolio of products for multiple indications. The ELA stem cell platform has many potential therapeutic applications, and this patent validates our efforts and our future business plans. Our cellular platform, infrastructure and expertise will help make the promise of regenerative medicine a reality." said Pamela Layton, founder and CEO of Parcell Laboratories. "The ELA stem cell appears to be genetically, phenotypically and functionally distinct from other adult stem cells. Evidence suggests that it has a differentiation capacity that is likely superior to the other types of adult stem cells reported in the literature. We therefore believe that the significance of this technology is huge, and the team at Parcell is dedicated to discovering and developing therapeutically its full potential." said Colin White, Ph.D., vice president, research and development, Parcell Laboratories.